Home / Giving / Double Helix Medals Dinner / Past DHMD / 2010 / John F. Nash, Jr.
2010 Honoree - John F. Nash, Jr.
Dr. John F. Nash, Jr., winner of the 1994 Nobel Prize in Economics for his work on game theory, is a public advocate and role model for people with mental illness. He is the subject of the film A Beautiful Mind, which is loosely based on his life as a rising mathematical genius who overcomes years of struggle with paranoid schizophrenia. Dr. Nash has used his influence as a public role model to become an active advocate for mental health issues – lobbying Congress and government officials to protect the community mental health programs that allow people who struggle with mental illness to live outside of hospitals and help them lead more independent and productive lives. Born in 1928, in West Virginia, Nash displayed evidence of his talent in mathematics in his early school years when he applied his own novel methods for solving complex math problems. He was one of ten national winners of the Westinghouse Award, which provided him with a full scholarship to the Carnegie Institute of Technology. There he studied engineering and chemistry before realizing his passion for mathematics. He next enrolled at Princeton University where he focused on game theory, which described strategies in competition. 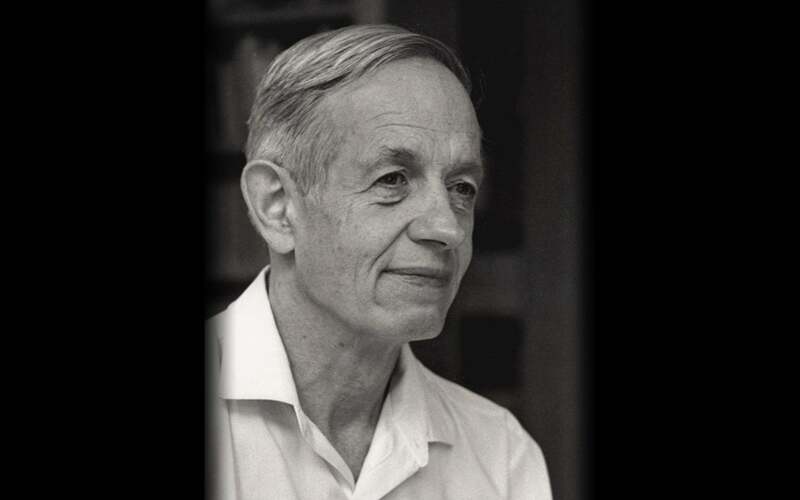 His doctoral thesis on non-cooperative games that contained the definition and properties of what would later be called the “Nash Equilibrium,” re-oriented the field of economics. Later, as a member of the faculty at MIT, Dr. Nash solved a series of impressive mathematical problems and at the age of 30, he was named by Fortune magazine as one of the brightest mathematicians in the world. His work in game theory, differential geometry, and partial differential equations has provided insight into the forces that govern chance and events inside complex systems in daily life. His theories are used in market economics, computing, evolutionary biology, artificial intelligence, accounting and military theory. In addition to the John von Neumann Theory Prize for his discovery of non-cooperative equilibrium, Dr. Nash won the Leroy P. Steele Prize in 1999. He holds honorary degrees from Carnegie Mellon University, University of Naples Federico II, and University of Antwerp. In 1957, Dr. Nash married Alicia Larde, a physics major he met while teaching at MIT. Although Dr. Nash’s extraordinary career became sidelined during the height of his illness, he continues today to redefine mathematics at Princeton University where he lives nearby with Alicia.